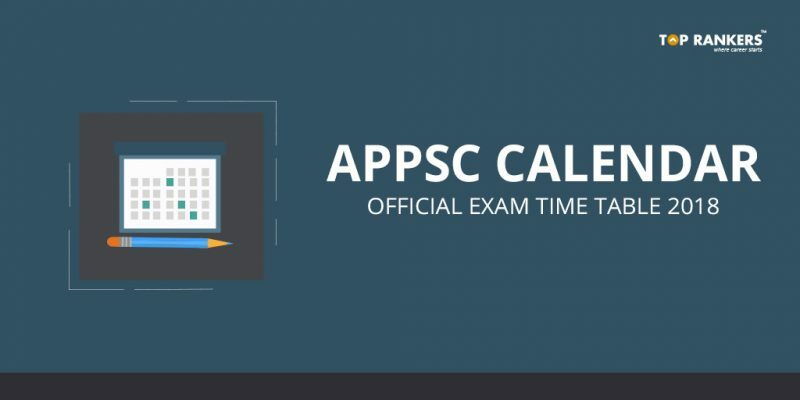 Official APPSC Calendar & Exam Time Table can be downloaded down the post. Andhra pradesh public service commission had earlier notified the recruitment of Executives in various discipline, Lecturers for government institutions, Inspectors, Administrators, Assistants, Various posts of police Officers, Research Assistants and Secretaries. The Recruitment authorities of Andhra Pradesh Public Service Commission are going to hire eligible contenders in almost all the departments this year and this is the reason more than 40 examinations are going to be held in 2018.